The majestic building of Tower Residency caters to all the needs of the guests with the help of a skilled staff. 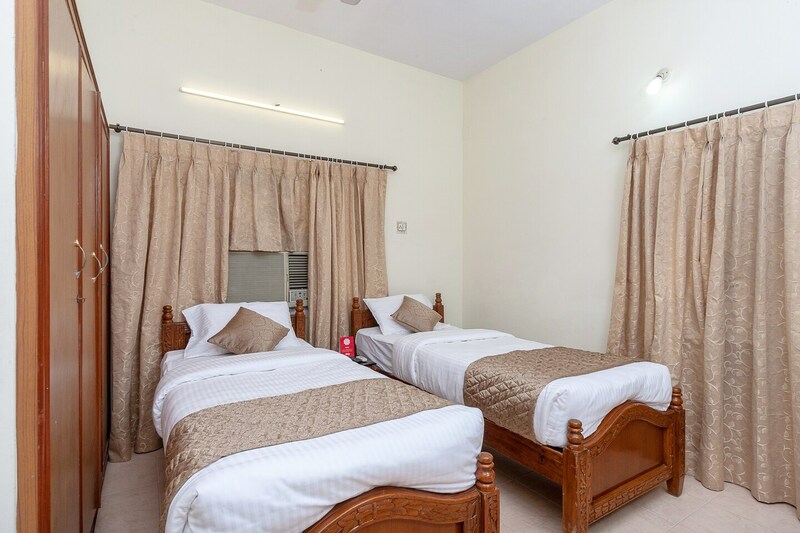 The rooms of this residency are spacious, well-designed, furnished with modern furniture and loaded with the basic amenities.The curtains add to the charm of the rooms. These facilities make the time of their guests in this place a very memorable one. The property has a dining area and also provide parking facilities to the guests. They provide free WIFI to the guests making it easier for them to access social media. They also have a power backup facility, and CCTV cameras ensuring a safe stay for the guests.